Alcohol based wipes that leaves all Dycem Non-Slip products instantly dry and ready to reuse. 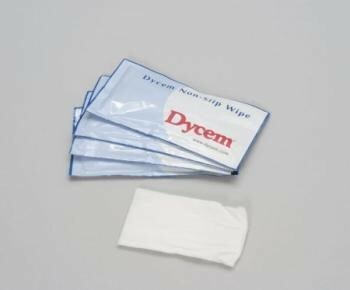 Alcohol based wipes that leaves all Dycem™ Non-Slip products instantly dry and ready to reuse. Although they are designed specifically for use on the self-adhesive Dycem™ products, they can be used as a quick, effective method of cleansing any non-slip surface.